If you’re curious about getting a solar power system installed on your home or business, one of the first steps that you’ll want to take is to have a free solar site evaluation done. This will give you a good idea about the potential for a solar photovoltaic (PV) array at your location, as well as answer any of the questions you might have about the cost of solar and the generating capacity you can expect from your installation. Having a solar site evaluation done will help you to understand both the benefits of owning a solar array, as well as the costs involved with installation. During a solar site evaluation, a qualified solar contractor will come to your home and assess a number of factors that will determine the optimal size of a solar array at your location, along with the potential capacity of that solar power system, so you can make an informed decision about getting started with residential solar power for your home or business. One of the first things that the person doing the solar site evaluation will look at is the size and orientation of the building’s roof, because those two elements will set the design constraints for a roof-mounted solar array. While it may seem like common sense to use the south-facing portion of the roof for a solar panel system (in the northern hemisphere), that may not necessarily hold true for every location, as facing the solar panels to the west may actually yield more electricity during peak demand. Another factor that can determine the size of a potential roof-mounted solar array is the available area on the section of the roof with the correct orientation. A south- or west-facing roof that has multiple penetrations in it, whether it’s for the heating or ventilation system, a plumbing vent stack, or electrical conduit, may limit the size of the potential array due to having to design a racking system that avoids these obstructions. The pitch of the roof is another determining factor in a solar installation, as solar panels must be oriented the best angle to the sun in order to get the most power from the system. The tilt of the panels is generally set so that the maximum amount of solar energy is generated over the course of an entire year (which takes into account the changing angle of the sun during the year). Roofs with a relatively flat pitch may require additional racking components to install solar panels that are at a higher pitch to catch the most sun, and roofs with a steeper pitch may require racking that positions the panels at a lower pitch than the roof itself. For both roof-mounted and pole-mounted solar arrays, another element that affects the site location is the amount of solar access to the site throughout the year. This may be limited by factors such as a nearby house that casts shade on potential solar array locations during certain parts of the year, or certain times of the day, or by large trees that will shade the panels and limit their generating capacity. Some of these solar access issues can be addressed, such as through trimming or removal of the trees that will cast shade on the system for long periods, and others, such as a nearby building, may simply need to be worked around, usually by siting the array in a location that won’t be affected by the shade. During a solar site evaluation, a solar contractor will also inspect the condition of your roof to determine its structural and surface integrity to ensure that they aren’t installing a solar array over the top of a roof that may need repairs in the near future (which would require the removal of the solar panels and racking). They will also want to measure the location, size, and spacing of the rafters and beams of the roof, in order to calculate the optimal location for installing the solar panel racks and to work around any roof penetrations. In addition to space for the solar panels themselves, the installation will also need to be designed with the wiring and inverter in mind, in order to locate the inverter as close as possible to the panels and to route the wiring in a way that is not only efficient, but that is as out of sight as possible, yet still accessible. For pole-mounted arrays, this may require trenching to bury the cabling, which has to take into consideration any existing subsurface infrastructure, such as the location of water lines, sewer lines or septic tank, natural gas and electric lines. Solar arrays that are tied to a battery bank (for off-grid locations) will need to be designed with the energy storage location in mind, to accommodate both the size of the battery bank and all of the necessary wiring to connect from the array to the battery room to the house itself. 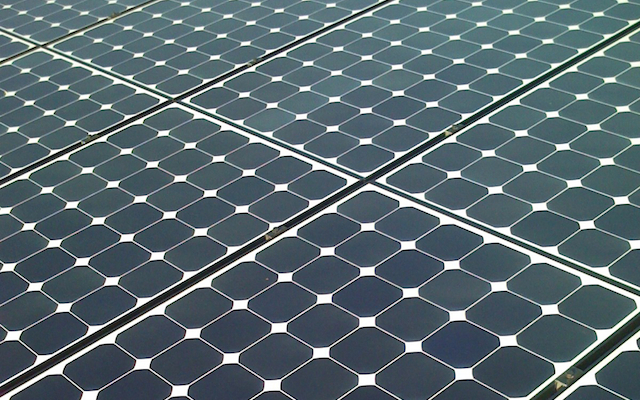 Another factor in determining the location for installing a solar power system, is access to the property, as well as to the location where the solar array will be installed, in order for the solar contractor to be able to determine how to best deliver the panels and racking and other components. The solar site evaluation should also involve a discussion with the homeowners about their average electrical use, including times of peak demand, and whether the potential solar power system could offset their entire electricity costs throughout the year (and perhaps generate an excess to be sold back to the grid) with their current appliances and lifestyle, or if it will just be used to lower their electric bill. For offgrid solar installations, energy storage will be a big part of the conversation, as without a grid connection, solar homes will need to include enough storage capacity to bridge the gap between peak production and peak demand, including factoring in cloudy, overcast, or snowy periods that can limit power production during certain times of the year. After the solar site evaluation, you should have a much clearer idea about the potential for solar power at your home or business, and find out what your options are in terms of both generating capacity and the cost of the solar system, and can move forward with determining how to best finance your solar array.